In the middle of the 19th century, the United States entered into a civil war that proved bloodier than any other conflict in American history, a war that would presage the slaughter of World War I’s Western Front and the global carnage of the 20th century. The number of soldiers who died between 1861 and 1865, generally estimated at 620,000, is approximately equal to the total of American fatalities in the Revolutionary War, the War of 1812, the Mexican War, the Spanish American War, World War I, World War II, and the Korean War, combined. The Civil War’s rate of death, its incidence in comparison with the size of the American population, was six times that of World War II. A similar rate, about two percent, in the United States today would mean six million fatalities. As the new southern nation struggled for survival against a wealthier and more populous enemy, its death toll reflected the disproportionate strains on its human capital. 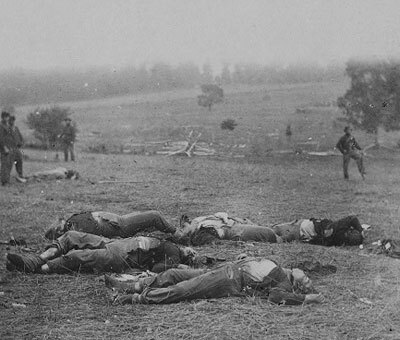 Confederate men died at a rate three times that of their Yankee counterparts; one in five white southern men of military age did not survive the Civil War. 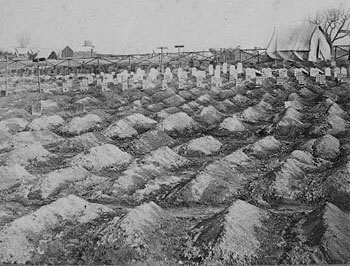 Twice as many Civil War soldiers died from disease as from battle wounds, the result in considerable measure of poor sanitation in an era that created mass armies that did not yet understand the transmission of infectious diseases like typhoid, typhus, and dysentery. These military statistics, however, tell only a part of the story. The war also killed a significant number of civilians; battles raged across farm and field, encampments of troops spread epidemic disease, guerrillas ensnared women and children in violence and reprisals, draft rioters targeted innocent citizens, and shortages of food in parts of the South brought starvation. No one sought to document these deaths systematically, and no one has devised a method of undertaking a retrospective count. The distinguished Civil War historian James McPherson has estimated that there were 50,000 civilian deaths during the war, and has concluded that the overall mortality rate for the South exceeded that of any country in World War I and all but the region between the Rhine and the Volga in World War II. The American Civil War produced carnage that was often thought to be reserved for the combination of technological proficiency and inhumanity characteristic of a later time. The impact and meaning of the war’s death toll went beyond the sheer numbers who died. Death’s significance for the Civil War generation changed dramatically from its previous prevailing assumptions about life’s proper end—about who should die, when and where, and under what circumstances. Death was familiar to mid-19th-century Americans, but by the beginning of the 1860s, the rate of death in the United States had begun to decline, although dramatic improvements in longevity would not appear until late in the century. The patterns to which they were accustomed, however, were in many ways different from those introduced by the war. Although mid-19th-century Americans endured a high rate of infant mortality, they expected that most individuals who had reached young adulthood would survive into middle age. Yet, the Civil War took young, healthy men's lives rapidly, often instantly, and destroyed them with disease, injury, or both. This marked a sharp and alarming departure from existing preconceptions about who should die. Both Civil War soldiers and civilians distinguished between what many referred to as “ordinary death,” as it had occurred in prewar years, from the manner and frequency of death in Civil War battlefields, hospitals, and camps, and from the war’s interruptions of civilian lives. The scale and duration of the conflict, the size of its battles and the number of casualties were also unanticipated and unprecedented. 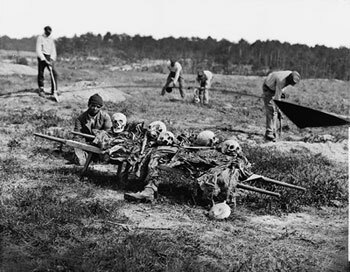 Both the Union and the Confederacy reaped what many described as a “harvest of death.” By the midpoint of the conflict, it seemed that in the South, “Nearly every household mourns some loved one lost.” Loss became commonplace; death was no longer encountered individually. Death’s threat, proximity, and its actuality became the most widely shared experience of the war’s duration. Americans were unprepared for the impact of these deaths; what to do with the bodies that covered fields of battle, how to mourn so many lost, how to remember, and how to understand. The most immediate of death’s challenges was a logistical one, the burial of soldiers in the aftermath of battle. Armies were not ready for the enormity of the task that confronted them, particularly in the aftermath of engagements that left thousands of bodies carpeting battlegrounds like Antietam or Gettysburg. After a single day of fighting at Antietam, for example, 23,000 men and untold numbers of horses and mules lay killed or wounded. Neither side's army had grave registration units; soldiers were not issued official badges of identification, there was no formal policy of notification for the families of the slain, and neither side had an ambulance service. 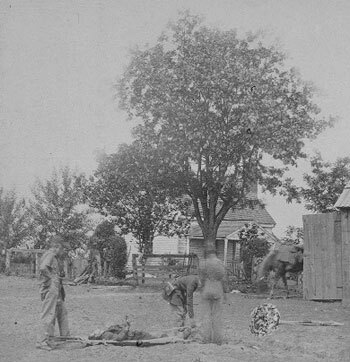 Makeshift crews of soldiers were detailed after battles to dispose of the dead and often found themselves lacking basic necessities such as carts or shovels. These failures of capacity were made evident in the length of time it took to attend to casualties. A week after Antietam, a Union surgeon reported that, “the dead were almost wholly unburied, and the stench arising from it was such as to breed a pestilence.” As a result, bodies were often thrown into unidentified mass trench graves. Mourning necessarily took on new forms under such circumstances. Mid-19th-century America was overwhelmingly Protestant, and death was understood within the context of Christian faith in salvation and immortality. The ancient traditions of ars moriendi, the art of dying, had deep roots in both northern and southern culture. A Good Death, which ultimately defined the life that had preceded it and forecast the life to come, occurred amidst one’s family and required a readiness to die and to embrace salvation. Soldiers’ distance from home and kin and the circumstances of war made such deaths all but impossible, but men struggled to create conditions in hospitals and camps or with comrades on the field that affirmed these fundamental principles of how to die, even as the realities of wartime assaulted the very foundations of belief. Civilian mourning was difficult as well when the fate of missing soldiers remained uncertain, when bodies were not available for ritual burial, when funerals occurred so frequently as to become commonplace, when mourning goods, especially in the hard pressed South, were difficult, if not impossible, to procure. As the bereaved found changed ways to mourn, the nation worked to give loss meaning. North and South governments recognized the necessity of assuming previously unacknowledged responsibility for the care of the dead. In 1862, the U.S. Congress passed a measure allocating to the President power to purchase grounds and “cause them to be securely enclosed, to be used as a national cemetery for the soldiers who shall die in the service of the country.” Without any appropriation or formal policy with which to implement this legislative action, the War Department established cemeteries as emergency circumstance demanded, primarily near concentrations of military hospitals where many dead required burial. But under the terms of this law, five cemeteries of a rather different character were created in the course of the war. These were burial grounds for the dead of a particular battle, usually established when a lull in active operations made such an effort possible. Three of these cemeteries, Chattanooga, Stones River, and Knoxville, were created by Union Generals, and two, Antietam and Gettysburg, by joint actions of northern states whose citizens had participated in the battles. In each case, the purpose of the effort extended well beyond the need for simply disposing of the dead. These cemeteries were intended to memorialize the slain and celebrate the nation’s fallen heroes. Gettysburg represented a particularly important turning point. The large numbers of casualties in that bloody battle were obviously an important factor in generating action, but it was not insignificant that the carnage had occurred in the North, in a town that had not had the opportunity to grow accustomed to the horrors of the constant warfare that had battered Virginia for two long years. Gettysburg made the dead—and the problem they represented—starkly visible to northern citizens, so many of whom flocked to the small Pennsylvania town after the battle. The dedication of the Union cemetery at Gettysburg marked a new departure in the assumption of national responsibility for the dead and a new acknowledgement of their importance to the nation as well as to their individual families. The end of combat in spring 1865 offered an opportunity to attend to the dead in ways the war had made impossible. Moved by the same humanitarian purposes that had drawn her to nursing during the conflict, Clara Barton was among the first to take advantage of the cessation of battle, establishing an office of Missing Men of the United States Army in Washington, D.C. to serve as an information clearing house. By the time she closed its doors in 1868, she had received more than 68,000 letters and secured information about 22,000 soldiers. 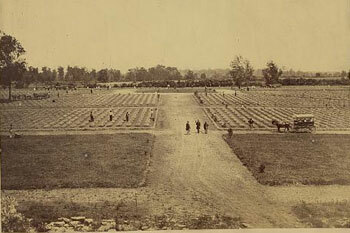 Many of the missing soldiers of the Union Army lay in graves scattered across the South, often unmarked and unrecorded. 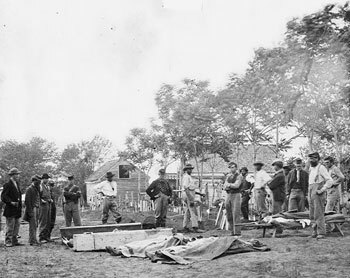 In the fall of 1865, U.S. Quartermaster General Montgomery Meigs ordered an assessment of the condition and location of graves to ensure their protection, an increasingly urgent issue in face of growing bitterness and defiance in the defeated South. Units of northern soldiers searched across the battle fronts of the war for slain Yankees, inaugurating what became over the next six years a massive federally supported reburial program. Ultimately, 303,536 Union soldiers were reinterred in 74 new national cemeteries, and Congress officially established the national cemetery system. Careful attention to the content of graves and to the documentation that poured in from families and former comrades permitted the identification of 54 percent of the reburied soldiers. Some thirty thousand of the reinterred were black soldiers. Just as they were segregated into the U.S. Colored Troops in life, so in death they were buried in areas designated “colored” on the drawings that mapped the new national cemeteries. This federal effort included only Union soldiers. Outraged at the official neglect of their dead, white southern civilians, largely women, mobilized private means to accomplish what federal resources would not. In Petersburg, Virginia, for example, the Ladies Memorial Association oversaw the reinterment of 30,000 dead Confederates in the city’s Blanford Cemetery. What was to become the cult of the Lost Cause in the latter decades of the century found an origin in the rituals of Confederate reburials. The federal reburial program represented an extraordinary departure for the United States Government, an indication of the very different sort of nation that had emerged from civil war. The program’s extensiveness, its cost, and its location in the Federal Government would have been unimaginable before the war created its legions of dead, a constituency of the slain and their mourners, who would change the very definition of the nation and its obligations. The memory of the Civil War dead would remain a force in American politics and American life well into the 20th century and beyond.